HARRISBURG – Three senators are advocating for additional investigators within the Office of Inspector General with a sole purpose: find welfare waste, fraud, abuse and misuse. 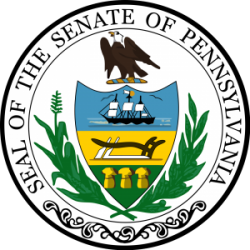 Senators David G. Argall (R-Schuylkill/Berks), Ryan Aument (R-Lancaster) and Mike Regan (R-Cumberland/York) introduced Senate Bill 425, which would require the Office of Inspector General to hire at least 50 percent additional staff dedicated to finding fraud within public assistance programs administered by the state’s Department of Human Services and Department of Health. Each welfare fraud investigator is able to identify over $1.2 million on overpayments or fraudulent activity. The senators say that is a reason why this is a commonsense approach to saving valuable tax dollars. Similar legislation was approved by the Senate last session with bipartisan support. Anyone who has information regarding welfare fraud is encouraged to call the Office of Inspector General’s toll free welfare fraud tipline at 1-800-932-0582.